I can clearly remember hearing the BBC Breakfast News one summer’s day in 2013, announcing the UK’s very first ‘social enterprise place’ – Alston Moor in Cumbria. Social Enterprise UK (SEUK) was looking for more hotspots of social enterprise activity under their Places scheme: towns, cities and regions that could help make the public more aware of social enterprise. After Alston Moor, a village of 2,000 inhabitants, the search was on for larger candidates. Plymouth nearly didn’t make it. We came very late to the party – I remember writing the bid with mere hours to spare before the deadline. But the preceding years of movement-building and diligent organising meant that, when we applied to SEUK, we had everything required: a clear understanding of existing activity, a compelling and ambitious plan to grow social enterprises in number and size and, most importantly, a great partnership of collective, visionary organisations including Plymouth City Council (then a Co-operative Council) and the University of Plymouth (the first university to receive the Social Enterprise Mark). These were bound together in action by the nascent but influential Plymouth Social Enterprise Network (PSEN), which I had chaired since May 2013. Our bid was successful and we became a Social Enterprise City in September 2013. Today, there are around 200 social enterprises in Plymouth, a city of just over 260,000 people, together employing over 7,000 people and bringing in a combined income of around £550-£600m. While one in three of these businesses has a turnover of under £50,000, there are also some very large ones, such as Livewell Southwest (pictured above), one of the biggest health and social care businesses in the country. The Social Enterprise Place concept is a bit like the ‘virtual brand’ of the Northern Powerhouse. These badges galvanise and catalyse. They seem to engage politicians, the media, local agencies and businesses. People take notice and are curious about what’s going on. This then drives further attention and support. So it was with Plymouth. Our status has certainly attracted investment: between 2014 and 2018, Plymouth City Council put in £2.5m to help social businesses grow. Power to Change and more recently the Rank Foundation have been drawn to invest in the city, in part due to its label as a Social Enterprise City. It has also given social enterprises in Plymouth more confidence. Ed Whitelaw, head of enterprise and regeneration at Real Ideas Organisation, a social enterprise with a high profile nationally and in Plymouth, says the badge has been critical to his company’s success. The media and policy attention means that social enterprise is no longer seen as somehow wacky, alternative or on the fringe: it’s recognised as a serious business sector. We are represented at the highest levels of Plymouth’s economic strategy. This, in turn, has led to EU-funded specialist business support for social enterprises to start up and grow. 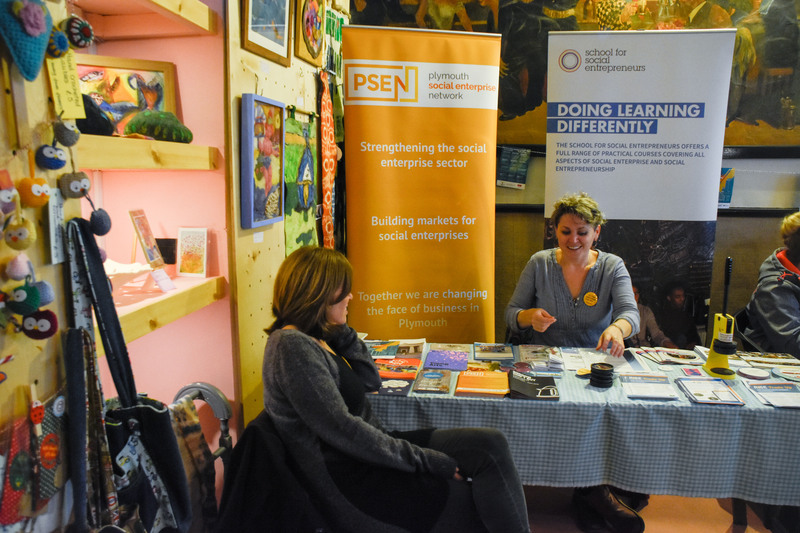 And as one of the first Social Enterprise Places, PSEN has had significant interest from overseas. We’ve been all over Europe – from the north of Sweden to the boot of Italy via Lithuania, Greece, Germany and The Netherlands – to talk about how our city supports social enterprise. It’s not all rosy though. General public awareness of social enterprise still needs to be increased. Despite being a city with a proud naval and military tradition, and a strong Ministry of Defence presence, I haven’t seen the MoD here respond to Social Enterprise City ideas, especially when it comes to procurement. Other public bodies such as Clinical Commissioning Groups and the police have similarly been very quiet on the Social Value Act and engagement with social enterprises. To create a healthy, productive economy we’d like to see them working more with social enterprises in the city and focusing more on opportunities to procure with social value in mind. Our Local Enterprise Partnership, the custodian of and channel for millions of pounds of investment in the economy, has seemed, at times, distant and reluctant to engage with anything other than business as usual. The few references to social enterprise and inclusive growth in the LEP’s local economic strategies have been hard won – although encouragingly, our LEP does now have a plan to drive inclusive growth. So what’s next for us? Right now, PSEN is working on a new social enterprise strategy for the city. I love what the Scottish government is doing in the social enterprise space and we’ll model some of our plans on Scotland. One exciting project we are working on is to engage artists and writers to illustrate what Plymouth in 2069 would look and feel like if social enterprises, community businesses and co-operatives really ruled the city – think driverless, flying, AI taxis owned by the people, for the people. Other emerging ideas are more pragmatic: increasing public awareness through awards ceremonies and local media partnerships; better engagement with commissioners and public sector organisations; and looking at engaging with the private sector more effectively – creating a Plymothian version of SEUK’s Buy Social Corporate Challenge. We also want all school children to have some sort of experience of social enterprise. An important outcome for us in the medium-term is to see a city where social enterprise becomes a model of choice for people setting up a business. Plymouth could be a place where aspiring entrepreneurs would have enough information about social enterprise to be inspired to try it. Our Social Enterprise City status and the work of our incredible social enterprises have proven that you can run a successful business with a good cause. To me, this is the power of the Places idea: that we really can create a vibrant social economy and change the world for the better. As we assemble our movement, Social Enterprise City is the flag we gather behind – and well worth those frantic hours of bid-writing back in 2013. Gareth Hart is director at Iridescent Ideas CIC and chair of Plymouth Social Enterprise Network. Home of the hipster culture, the London Borough of Hackney is now a "Social Enterprise Place", according to Social Enterprise UK. Sheffield receives award granted by Social Enterprise UK that recognises it as a hotspot of social enterprise activity.